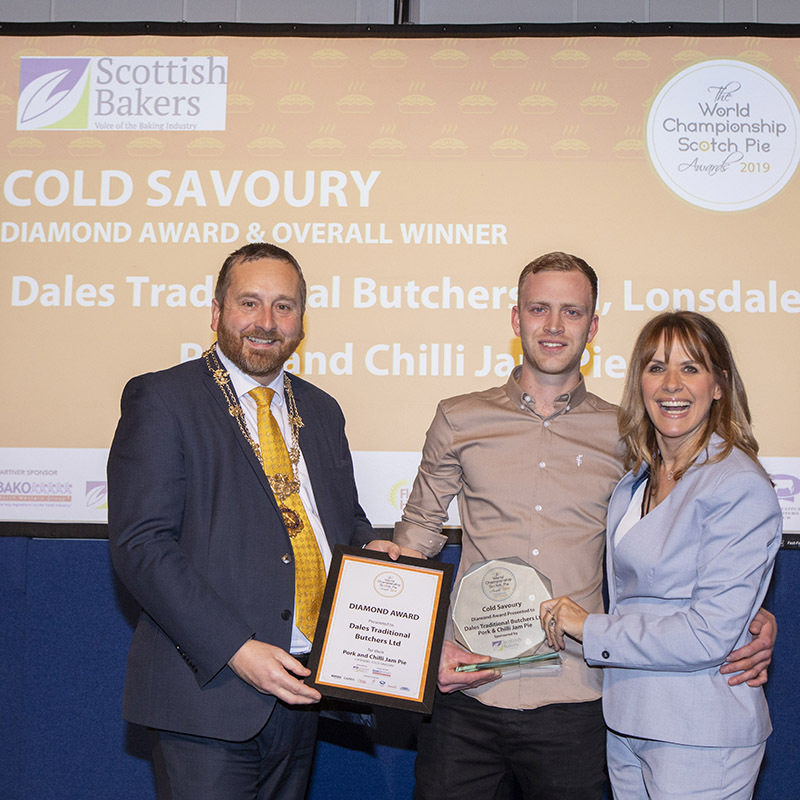 Dales Butchers of Kirkby Lonsdale (that’s us) makes the best COLD SAVOURY in the land! Well, at least, according to the judges of the World Championship Scotch Pie Awards 2019 we do. 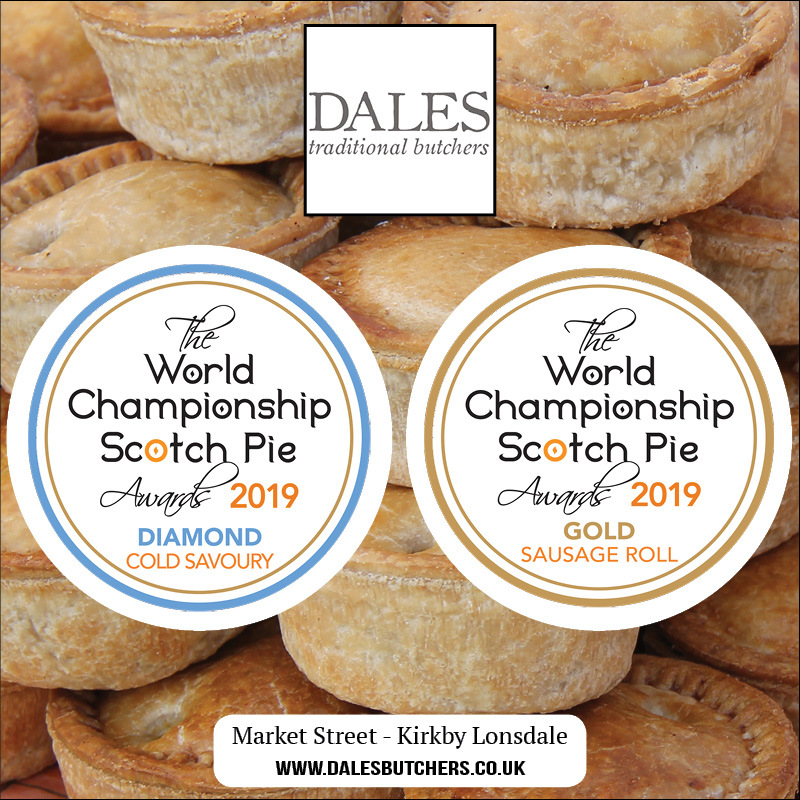 We were absolutely thrilled to be handed the top prize in the ‘Cold Savoury’ category at the 20th World Championship Scotch Pie Awards earlier this week and we were up against some seriously stiff competition, just look at the numbers! Following some really tough judging with over 80 butchers and bakers entering over 450 pies, sausage rolls, bridies, savouries and apple pies into the competition we were extremely proud to have been judged as producing the best Cold Savoury in the land. Not just this, but our sausage roll was also deemed worthy of a Gold Award on the ‘Sausage Roll’ category, too. “The competition, which has run for 20 years, aims to highlight that bakers and butchers create high quality pastry products day in day out. Recognising the “great and the good” in this way rewards excellence and raises the bar in the industry” says head judge Ian Nelson who oversaw the judging process to ensure only the best pies were recognised and that only the best of the best was crowned world champion. So, if you haven’t tried our Diamond Award winning Pork and Chilli Jam pie yet, come and pay us a visit soon! Or, if you can’t make it or can’t wait, why not order some online!